Have you ever been bumped off a flight or received shabby service from a commercial airline carrier? 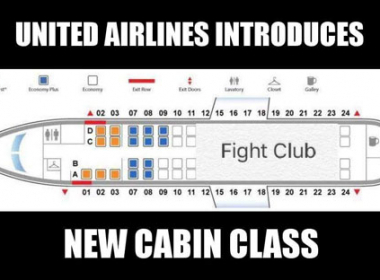 In our next class, we will take a break from “The Social Network” in order to debate United’s fateful decision (see memes below) to bump (or “re-accommodate,” in corporate lingo) several fare-paying passengers–and forcibly remove one of them–off United flight 3411 in order to make room for some United crew members. (By the way, our friend and colleague Eric Rasmusen has prepared an excellent overview of “The United Airlines Forcible Removal Affair”; you can read it here.) This infamous incident will allow us to revisit many of the substantive areas we have studied thus far in this legal and ethical environment of business course, including business ethics (e.g. is it ever unethical to bump a passenger off a flight? 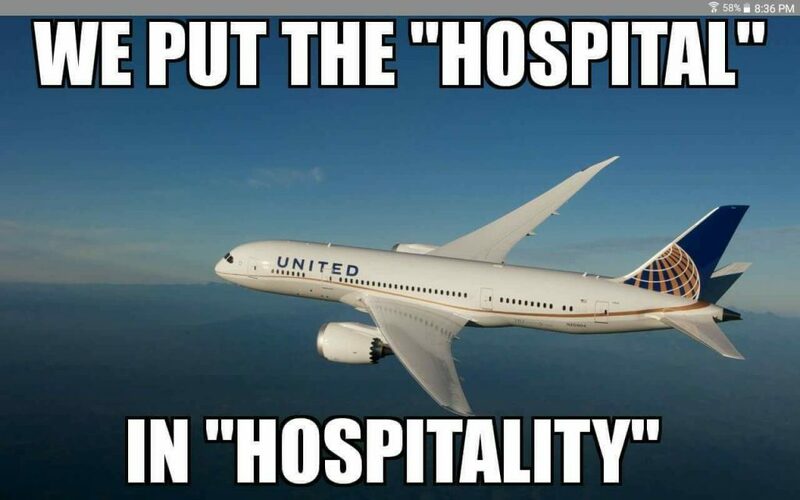 ), sources of law (such as federal aviation regulations versus state common law), the law of contracts (especially section 25 of United’s contract of carriage), the law of torts (what duties does United owe to its passengers? ), the law of agency (how can United be legally liable for the excessive force used by the Chicago Aviation Police? ), forum shopping (is the plaintiff better off suing in Kentucky or in Illinois? ), and the decision whether to settle or go to trial. This entry was posted in Current Affairs, Ethics, Law. Bookmark the permalink.